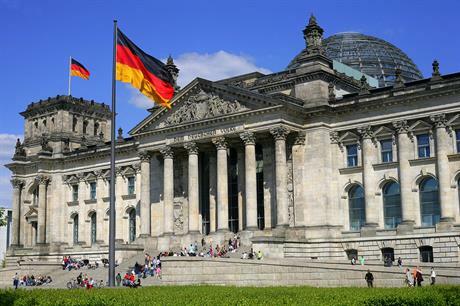 GERMANY: The German government revealed details in its draft renewable energy act 2016, relegating onshore wind to a supporting role, dependent on developments by all other renewables. Germany's onshore wind sector faces major uncertainty over the coming years, following the draft renewable energy act 2016, released earlier in April and up for consultation until 28 April. It contains a complex formula to calculate how much annual onshore wind capacity is required after taking into account all other renewables additions, and keeping in sight the target of 45% of German electricity consumption by 2025. To ensure onshore wind expansion does not fall below a level that risks sustainability of the industry, it will set a minimum annual onshore wind expansion of 2.5GW (total onshore wind capacity minus capacity decommissioned in the year). The annual additional new onshore wind capacity required — as calculated using the formula — will be put up for tender. The first auction scheduled for 1 May 2017, will be followed by two further auctions in 2017— for a total gross 2.5GW. Four will follow in 2018, dropping back to three per year from 2019. The maximum bid at auction allowed will be €0.07/kWh at the standard 100% reference site, fixed for 20 years. To compete fairly and ensure a geographical spread of developments across Germany, bids for wind farms at locations with widely varying wind conditions will be adjusted through a reference earnings model. Efficient projects at sites with lower wind speeds should then have a chance of success against possibly less efficient projects at sites with higher wind speeds. Special auction rules are foreseen for citizens' wind projects that have so far largely driven Germany's onshore wind expansion. But whether the concessions will allow such small project developers to compete with major energy players is widely questioned. Wind projects permitted by the end of 2016 and commissioned by the end of 2018 are to remain in the current feed-in tariff system, as will wind turbines with up to 1MW capacity and prototypes totalling up to 125MW per year, the draft law states.